A brand new range of stunning geometrically shaped olive wood cheese and chopping boards. Use as a single piece or slide several together to make a unique run along the middle of your table. Perfectly handy for cutting bread, chopping herbs, chillies, garlic, fruit and veg, or use as a unique cheese or charcuterie board. 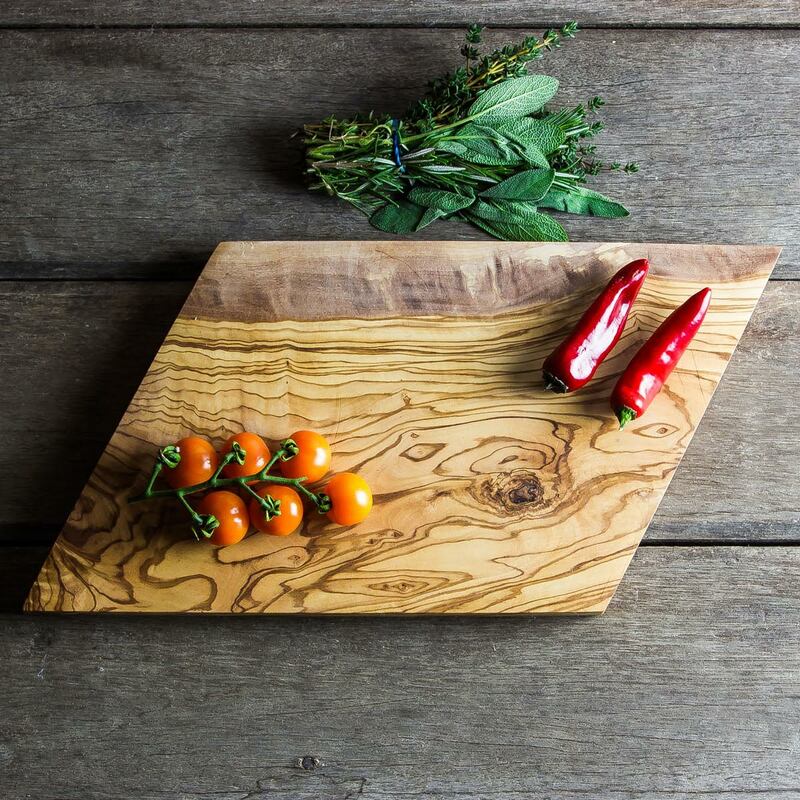 These boards have been crafted from a single piece of olive wood to a very high standard, will last for years, and will only get better with age. Each board has been carved from one piece of olive wood, which is a very beautiful and a very hard wood. Every piece is completely unique with stunning grain patterns and colour. Please check the dimensions carefully before ordering. Sizes can vary slightly due to the product being crafted by hand. My board arrived within the time frame promised. It was well packed and protected also. My, My, what a piece of art! Almost too beautiful to use! Sturdy and substantial with a personality of it’s own! Fantastic item, couldn’t be happier with it and exactly as described. Ethically sourced rustic olive wood products, designed in the English countryside.